The Mack Brooks Group organises targeted trade exhibitions in specialised industry sectors. Our B2B events serve as international marketplaces, bringing manufacturers and suppliers together with buyers and specifiers. Mack Brooks operates worldwide via five offices in Europe, America and Asia. Our dedicated exhibitions are specially designed for a wide range of industry sectors, with a particular focus upon investing in future growth markets. Staging events in different regions of the world and developing new products requires a large variety of talents, skillsets and backgrounds. We build strongly on the expertise of our people. 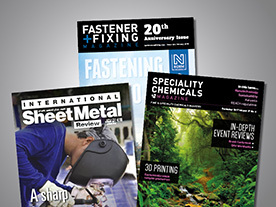 Mack Brooks Publishing’s print and online publications provide market intelligence and expertise in specialised industry sectors.